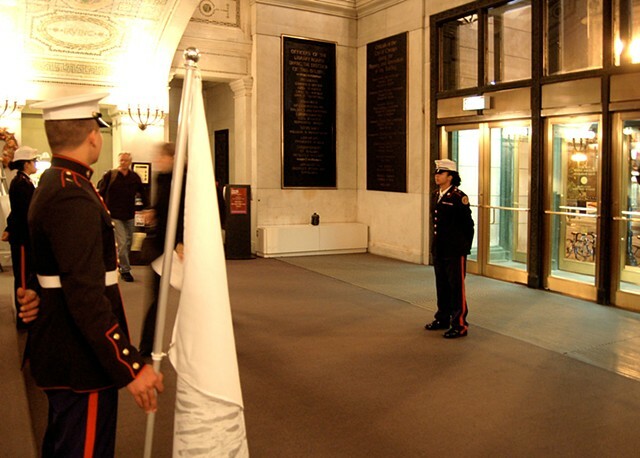 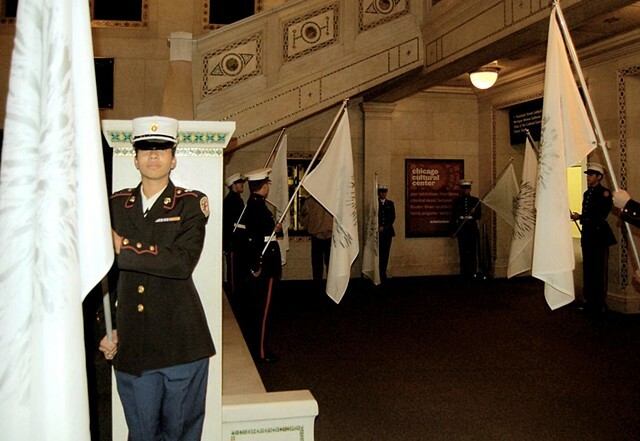 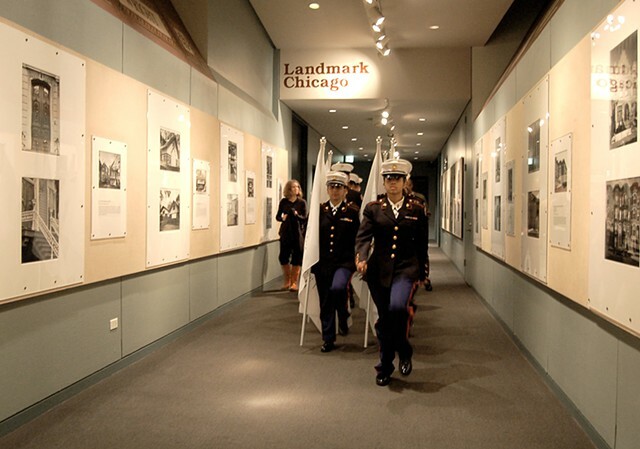 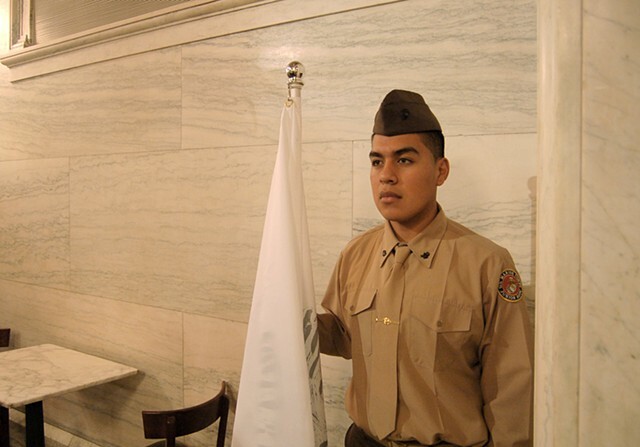 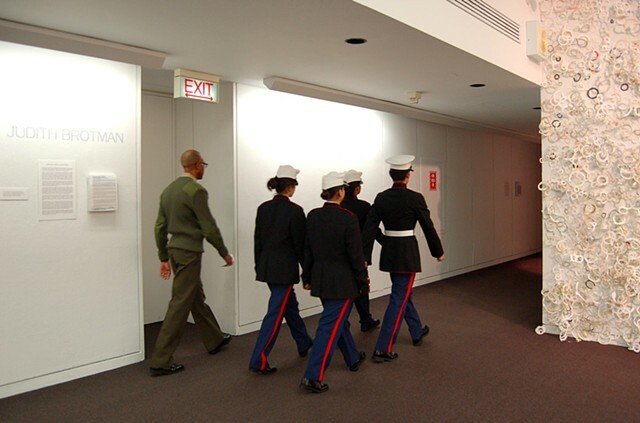 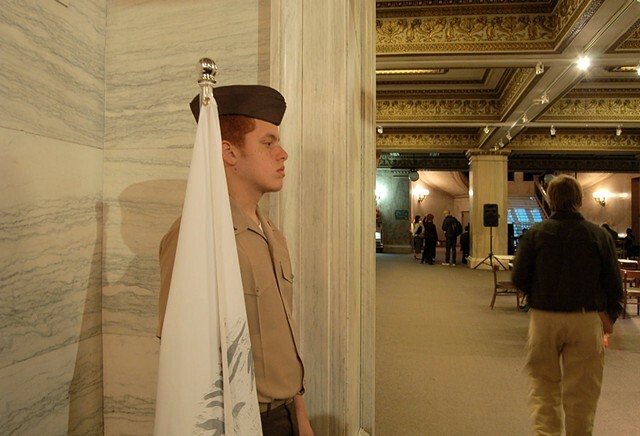 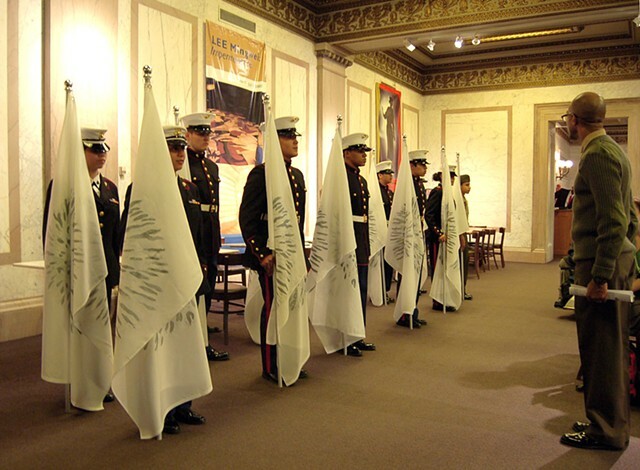 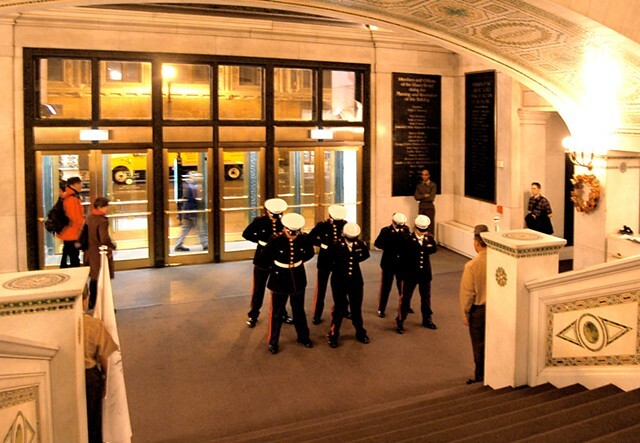 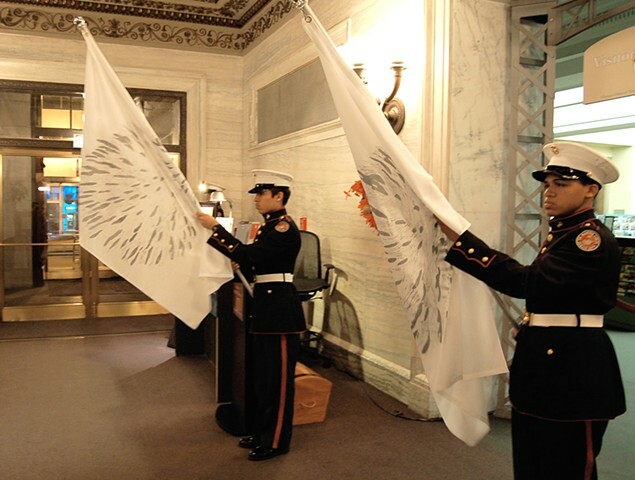 This performance gathers a group of Marine Corps Junior Reserve Officers' Training Corps (MCJROTC) students to participate as greeters at a Chicago Cultural Center event (Site Unseen). 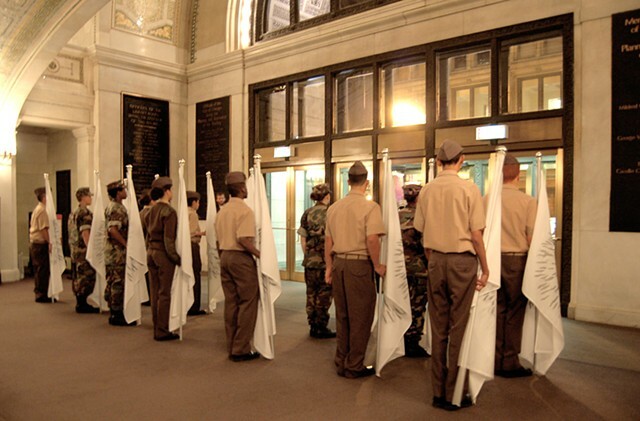 Two groups of students will be placed in the main entrance and main exit of the Chicago Cultural Center with the purpose of greeting visitors throughout the evening. 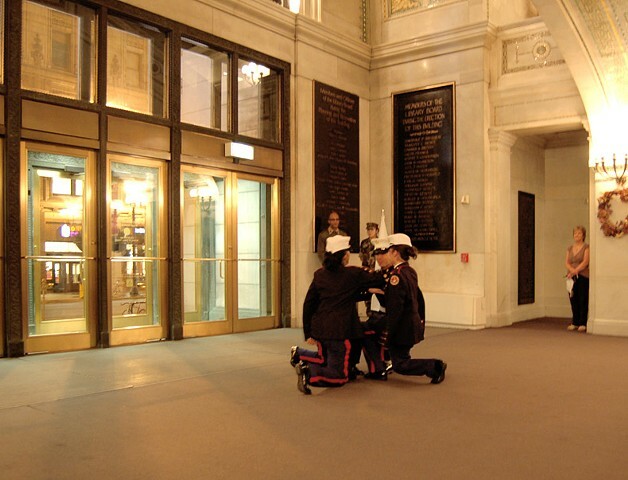 The concept of this performance is to evaluate the effects of bringing diverse and specific community groups together to the same forum to promote reflection on the diversity of the gathering. 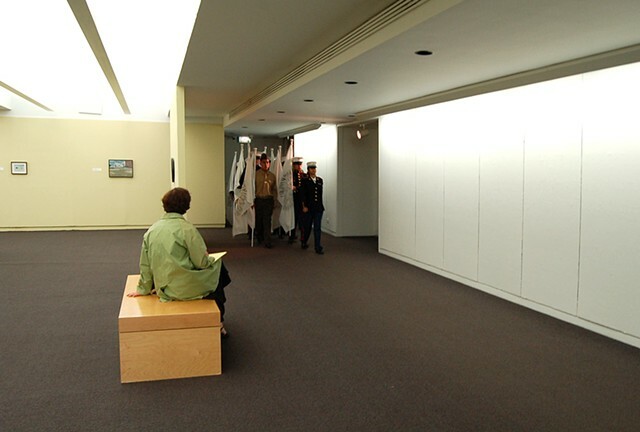 In creating conceptual art that keeps in the spirit of integrating communities and propagates reflective thinking, it is important to invite communities that can challenge our expectations and perceptions. 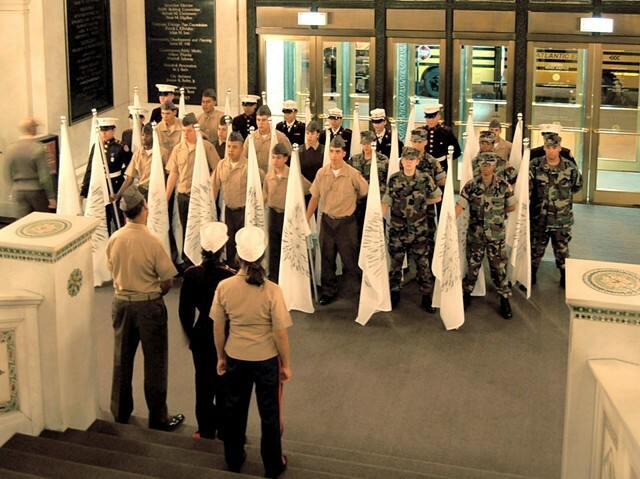 High school students in Marine Corps uniform will remind the guests of our situation as a nation at war. 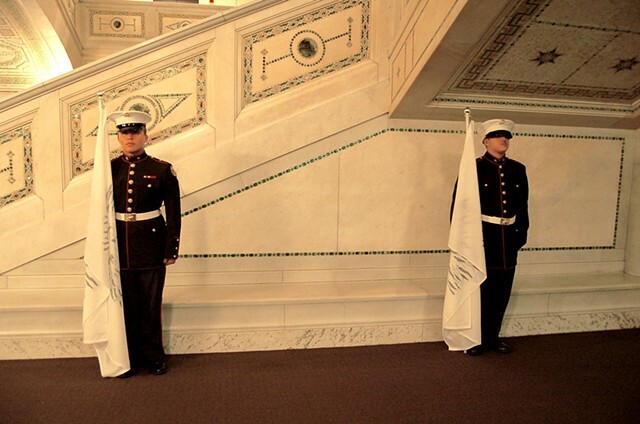 It is my interest to garner respect for the ones representing our nation during such a tragic event. 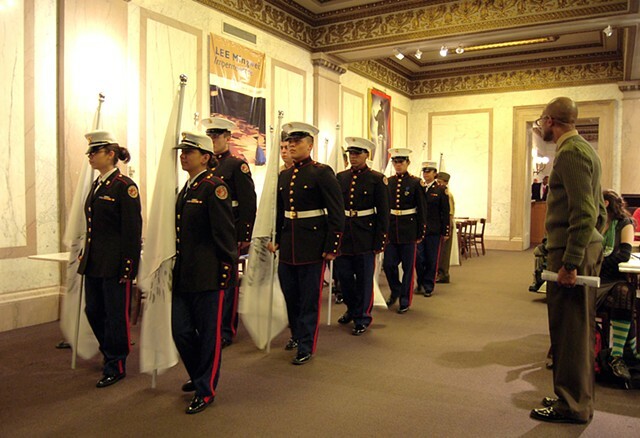 Not motivated by political reasons, but rather by the sense of pride and discipline that ROTC students embody, they are chosen as the ideal representative group to front the Welcoming Committee.